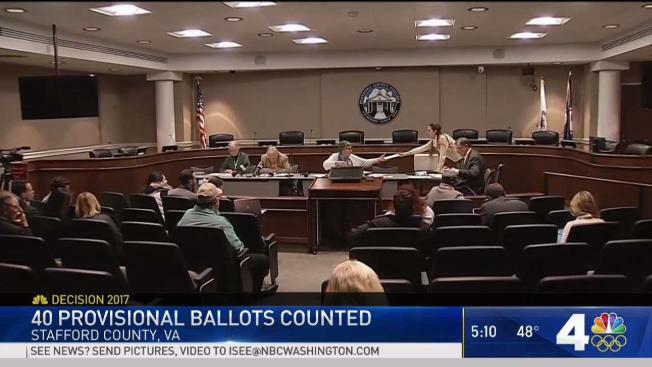 Dozens of absentee ballots that were found at a post office in Stafford County, Virginia, the morning after this month's election will not be counted. The Virginia House Democratic Caucus filed a lawsuit demanding the ballots be counted. 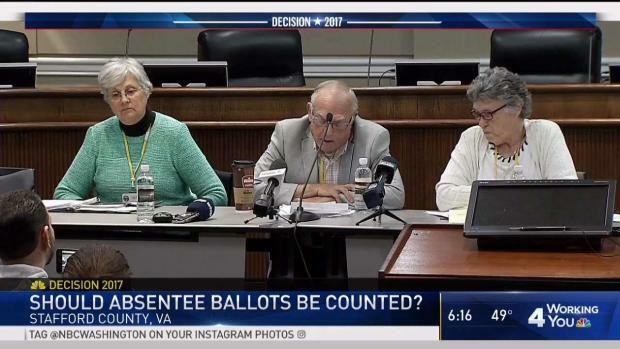 The Stafford County Electoral Board voted Tuesday that the 55 ballots, some from members of the military, cannot be counted, per Virginia law. The Caucus said they were disappointed in the decision and filed a suit on behalf of the Joshua Cole campaign to get those ballots counted. In the 28th District race, Republican Bob Thomas now leads Joshua Cole by 82 votes. Thomas previously had 84 more votes than Cole. The total changed after provisional ballots were counted. Virginia officials are counting the ballots in some high-stakes races across the state Monday. Control over Virginia's House of Delegates hangs in the balance. News4's Justin Finch reports. The board directed the registrar to ask the state election board to review their practices so absentee ballots do not fall through the cracks. 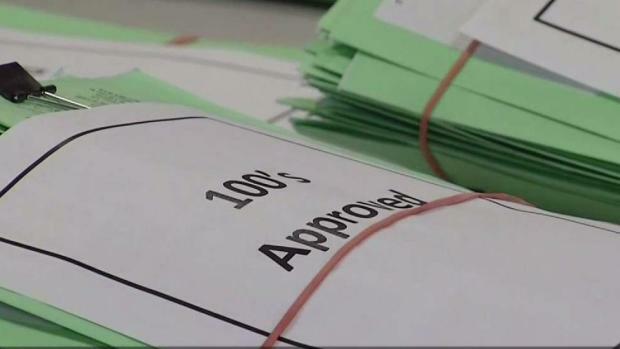 Of 50 provisional ballots that were opened and counted by the Stafford County Electoral Board, 10 were rejected. The race was watched closely because the Virginia House of Delegates is split, with 51 Republicans and 49 Democrats. Just one district turning blue would create a 50/50 split. Cole's campaign manager said he expects to call for a recount. "This is making sure that every vote is counted. And if this is what it's been so far, I imagine that not every vote has been counted properly and we will have to call for a recount," he said. Clectoral boards met Monday and Tuesday to count provisional ballots, which voters cast when they arrive without photo ID. Ballots being counted in Virginia may shift the balance of power in the Virginia House of Delegates. Some are concerned that military voters are being disenfranchised. News4's Julie Carey reports. In the 94th District in Newport News and in northern Virginia's 40th, the GOP incumbents remained ahead. Democrats have picked up 15 seats so far. If they flipped one more, the chamber would be tied. Recounts are possible in all three races.